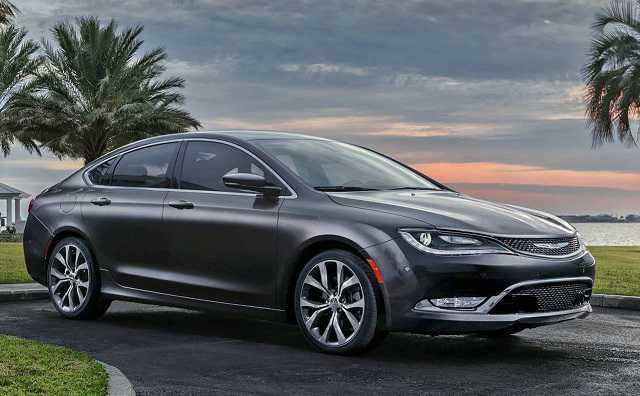 The 2016 Chrysler 200 S ranks among the top of this list in price and safety. In fact, this sedan has earned a five-star overall safety rating from the NHTSA. This powerful all-wheel drive vehicle delivers more advanced safety and security features than any other sedan in its class including LaneSense® lane departure control, Adaptive Cruise Control with Stop and Assist, Parallel Park Assist with Full Stop and Perpendicular Park Assist. The Chrysler 200 features a powerful 3.6L Pentastar® V6 engine that delivers exceptional power at 295 horsepower. This vehicle is also the only vehicle in its class to offer nine-speed automatic transmission. The wide gear ration ensures smooth transfer between all gears and exceptional fuel efficiency at all speeds. The transmission operates electronically instead of mechanically using Rotary-E shift. If you’re looking for safety, speed and style all rolled up in one, the 2016 Chrysler 200 S is your deal.